What can we make of the fact that Christian history is soaked in blood? Christianity is a cross-shaped faith. Christians follow a Messiah who freely gives up his life on the cross for us. The death of Jesus, God’s son, is the critical event of the NT and forms the core of the missionary proclamation. The message of the gospel is one of reconciliation and peace with God and with one another. Yet in events like the Crusades, the cross of Christ was paraded as a symbol of God’s blessing on military carnage. Where soldiers were promised forgiveness and absolution for participating in God’s work on the battlefield (a sort of Christian jihad when you think about it). What do we make of the fact that spiritual giants like Bernard of Clairvaux could write hundreds of deeply devotional hymns and yet be a passionate supporter of the wars against Muslims? These are some of the questions considered in chapter 3 of David Smith’s The Kindness of God, called ‘Mission, Violence and Suffering’. David points to different voices and approaches to Islam such as Francis of Assisi, who ‘waged peace’ on Islam in Egypt (interesting story this). Smith gives other examples; his point is how to engage ‘on the frontier’ with other cultures, particularly Islam, is a critical challenge in global mission. Conversion is at the heart of mission. But there is a difference between proselytism and conversion. The former seeks to make the other exactly like me. Conversion sees the other come to Christ but does not necessitate the other losing his/her cultural identity. You see this cultural pluralism in Acts 15 and the inclusion of Gentiles into the budding church. 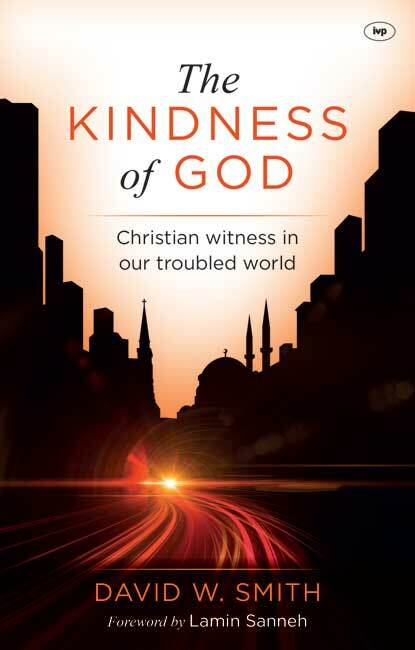 Smith offers three guidelines or principles for doing mission in our troubled and deeply divided world. 1. ‘Other worlds’ across cultural boundaries are going to be places of surprise. Mission is ultimately God’s initiative and we are given the privilege of joining in what he is already doing. This means for example, suggests Smith, that God may already be at work within Islam, preparing the way and he quotes an Islamic prayer as an example. What do you think of this notion of (some) divine revelation within other religions? Smith points to how God was ahead of Peter, working in a pagan Gentile’s life (Cornelius). I recently met an ex-student who comes from Iran. It was not only wonderful to see him again, but encouraging to hear of many stories of what God is doing among Iranians in Iran – very often through dreams and visions. God is present and active well beyond the ‘reach’ of formal mission contact. 3.The task of disentangling the gospel from the cultural wrapping in which it has been contained. Along with an understanding, in our post-Christendom west, of the factors why Christianity has, and is, being rejected. Only then can the church begin to re-translate the gospel afresh to the world.